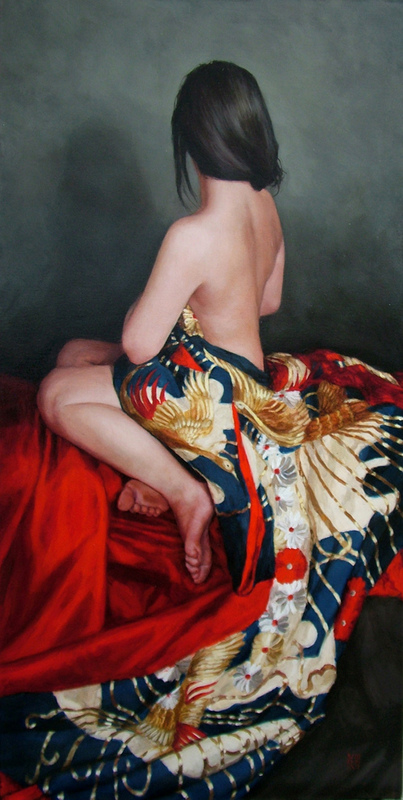 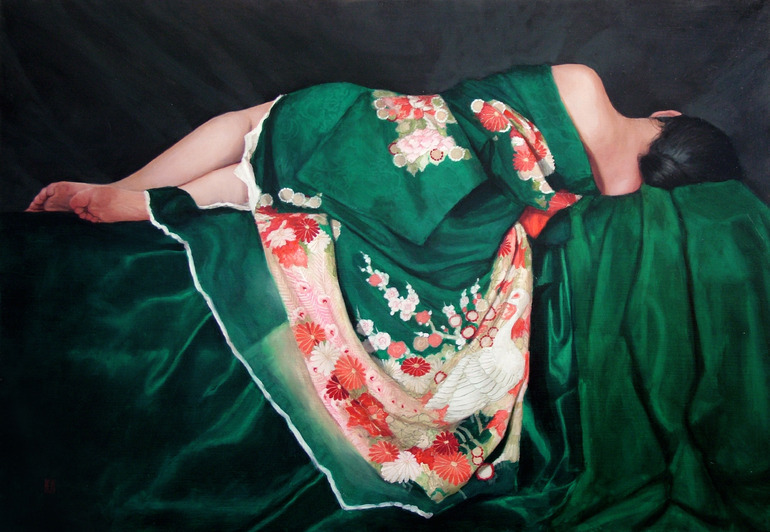 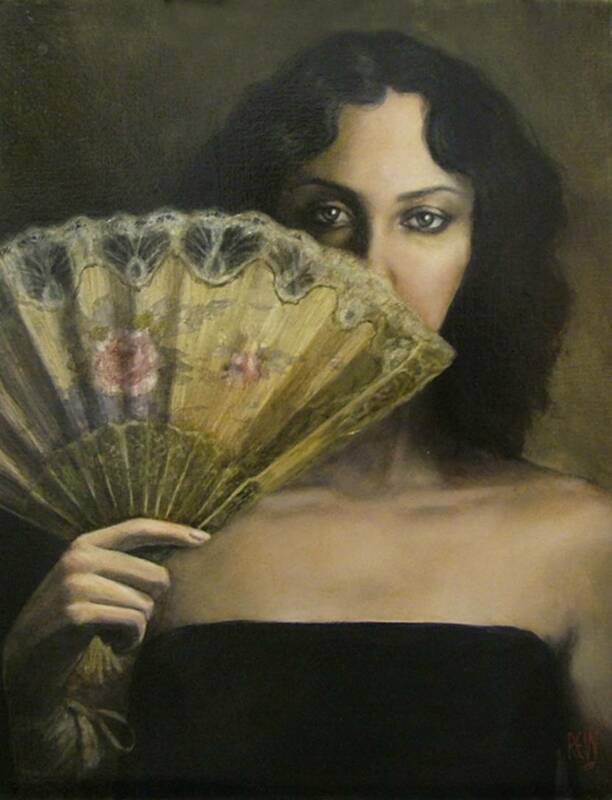 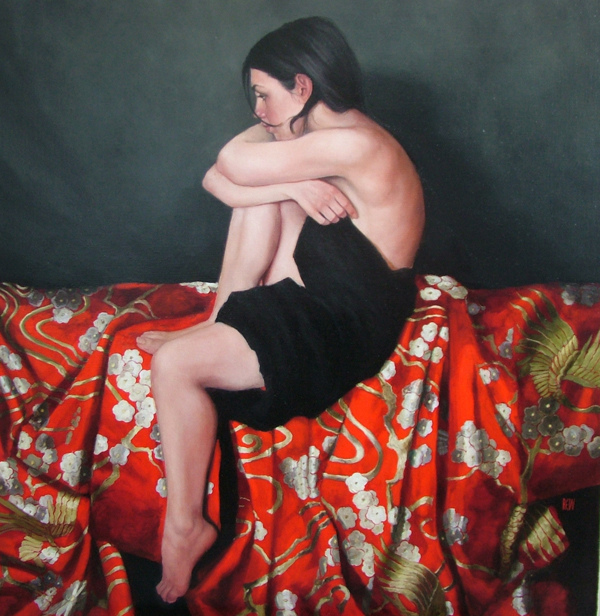 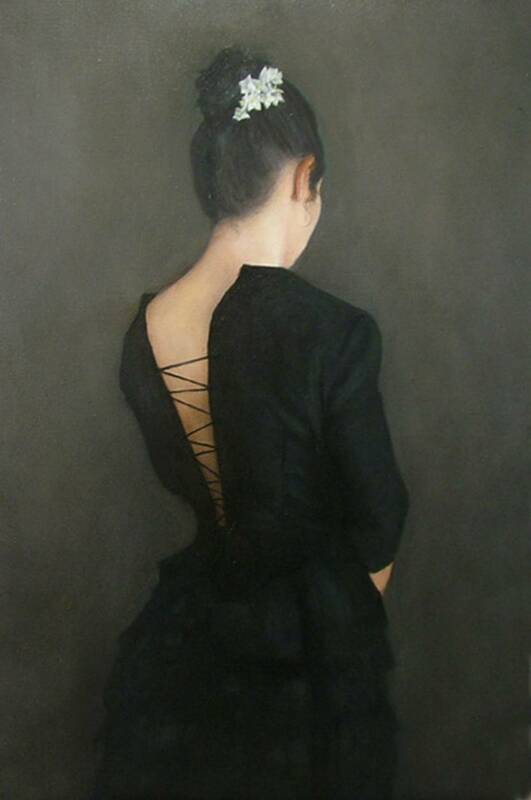 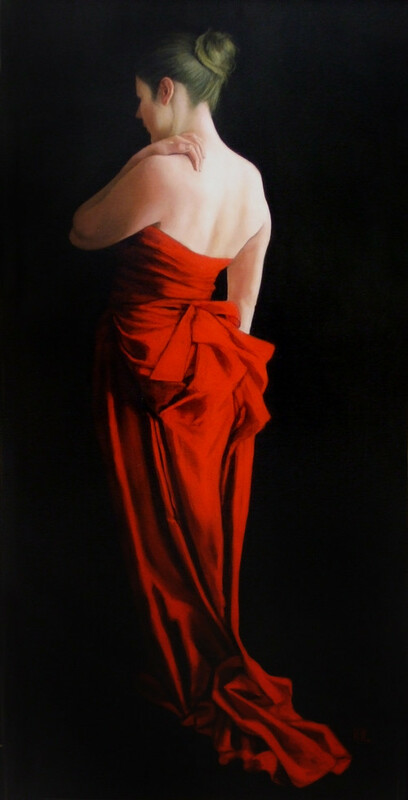 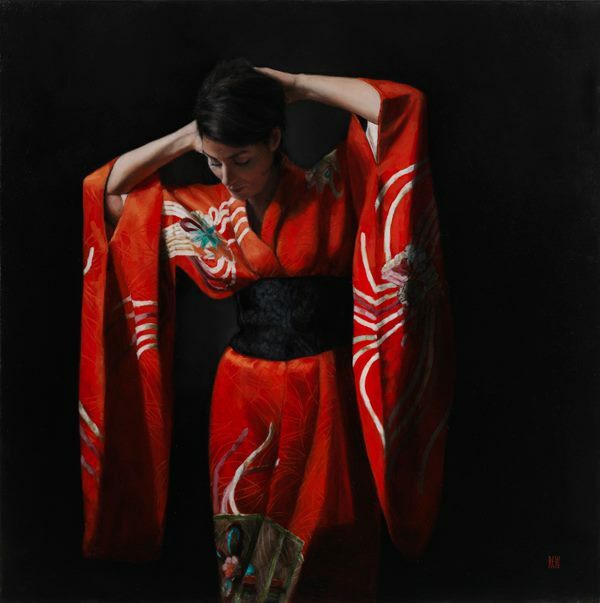 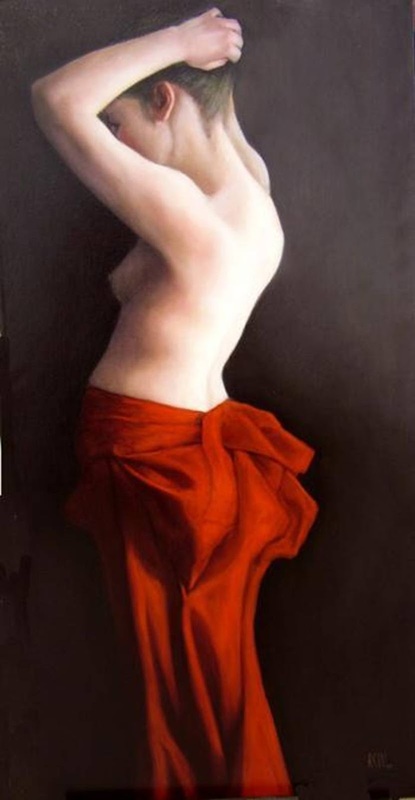 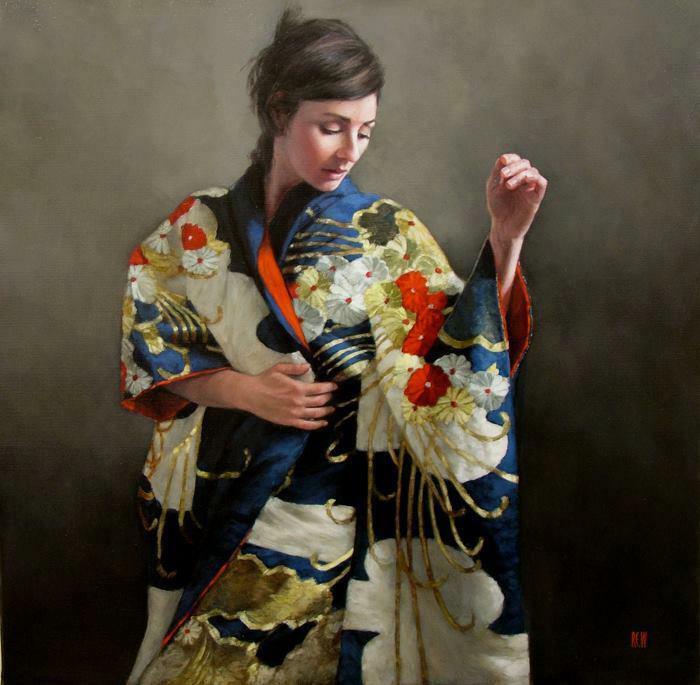 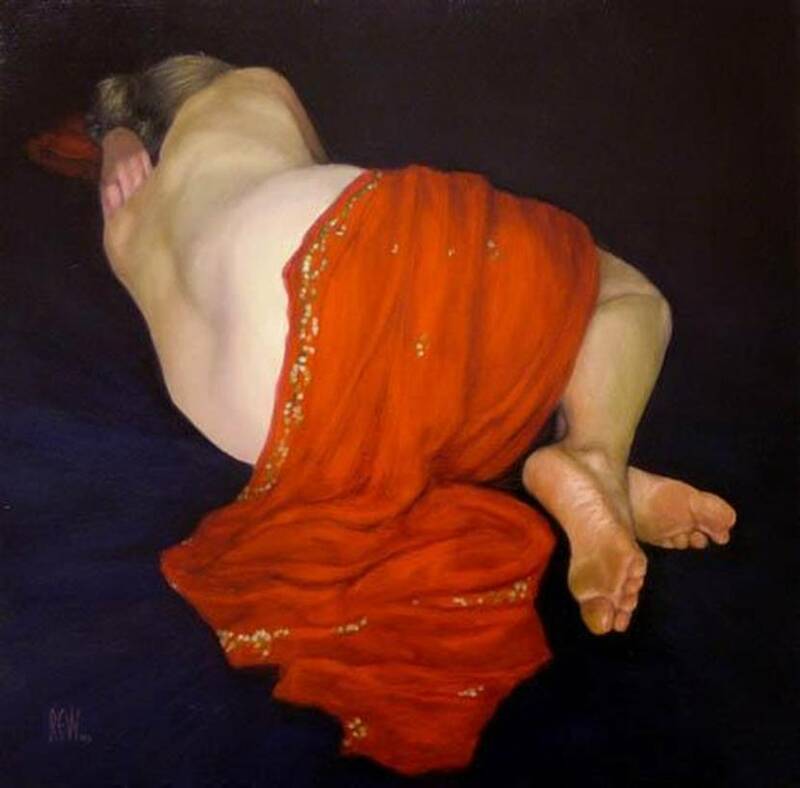 Stephanie Rew was born in Carlisle in 1971 and raised in Edinburgh. 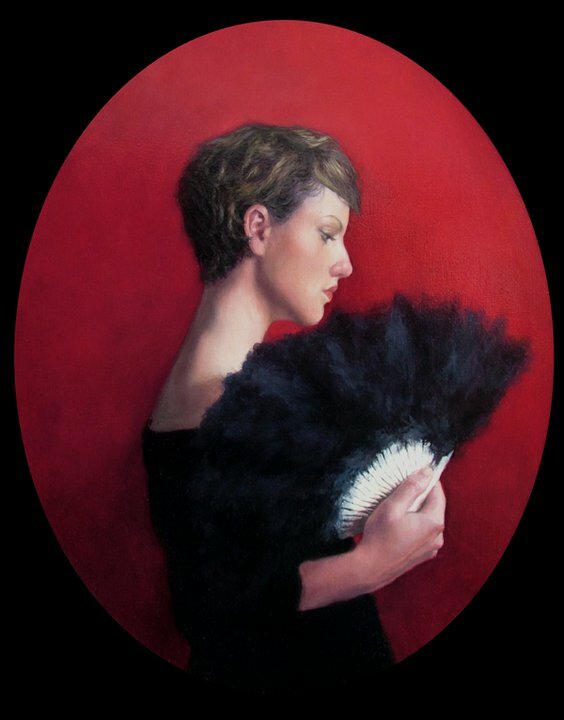 She trained at Duncan of Jordanstone College of Art in Dundee, Scotland and, upon graduating in 1994, won the Elizabeth Greenshields Award. 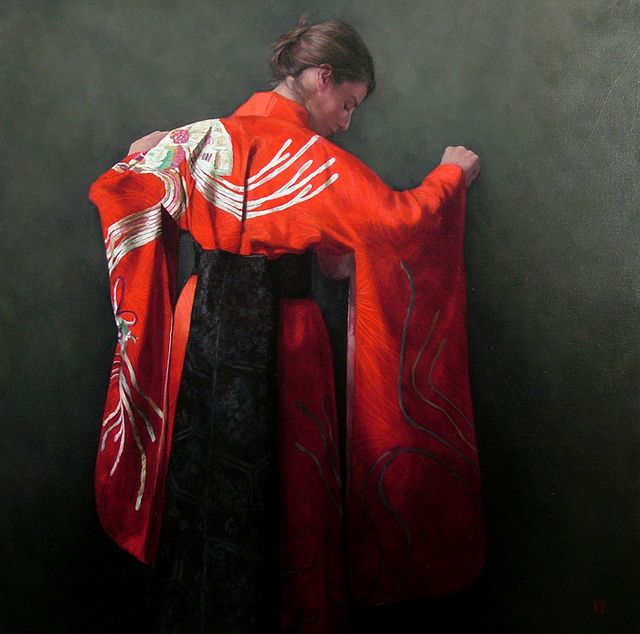 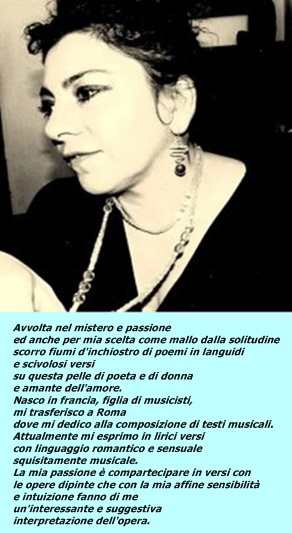 She has since exhibited extensively in London and Glasgow. 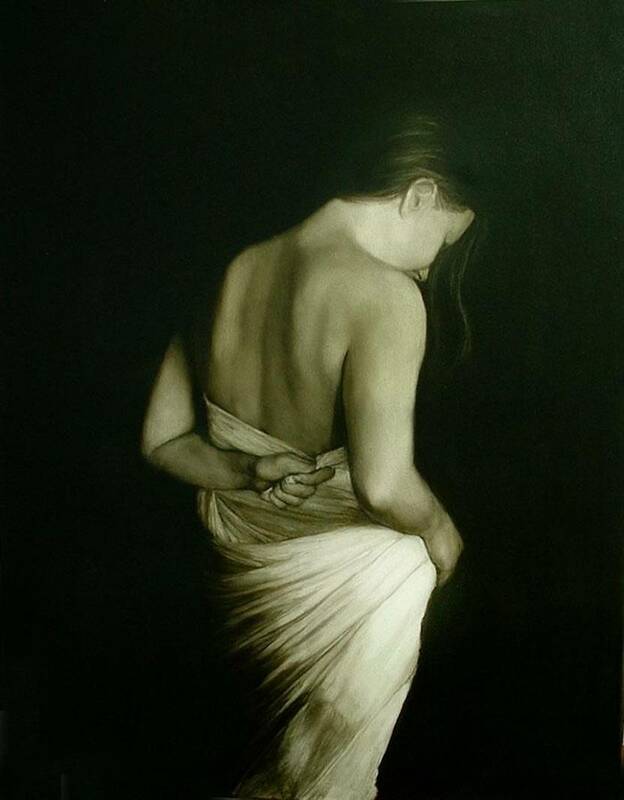 Inspired by the work of Caravaggio and Raphael, Stephanie’s primary choice of subject is the figure. 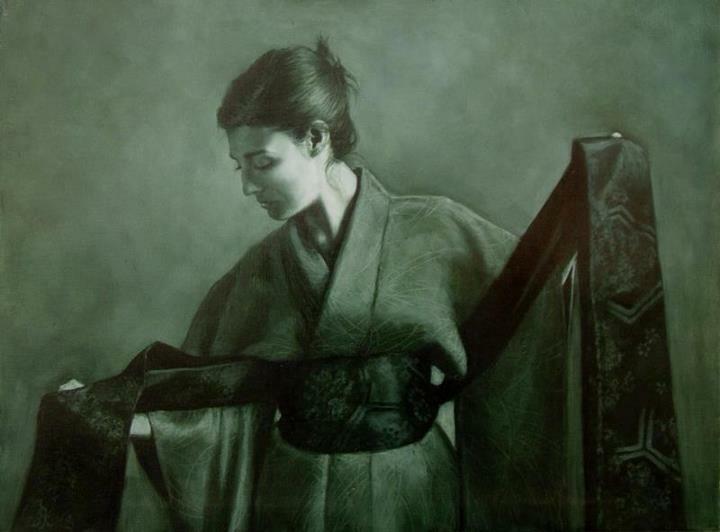 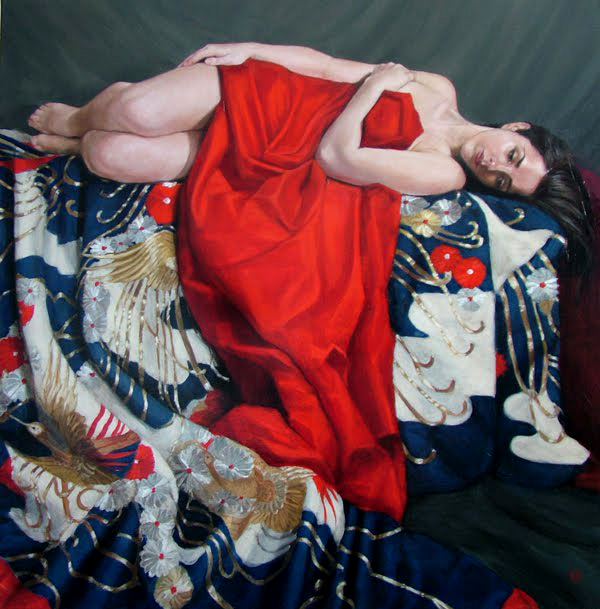 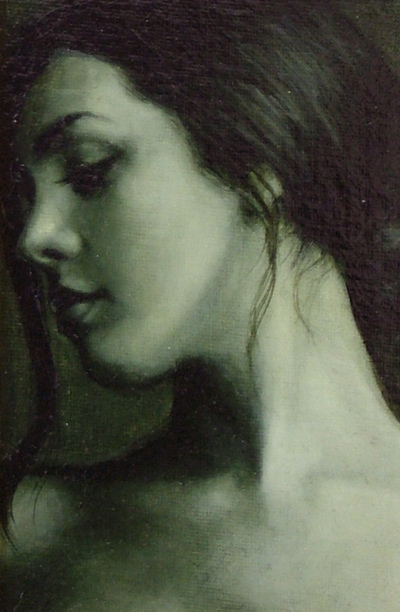 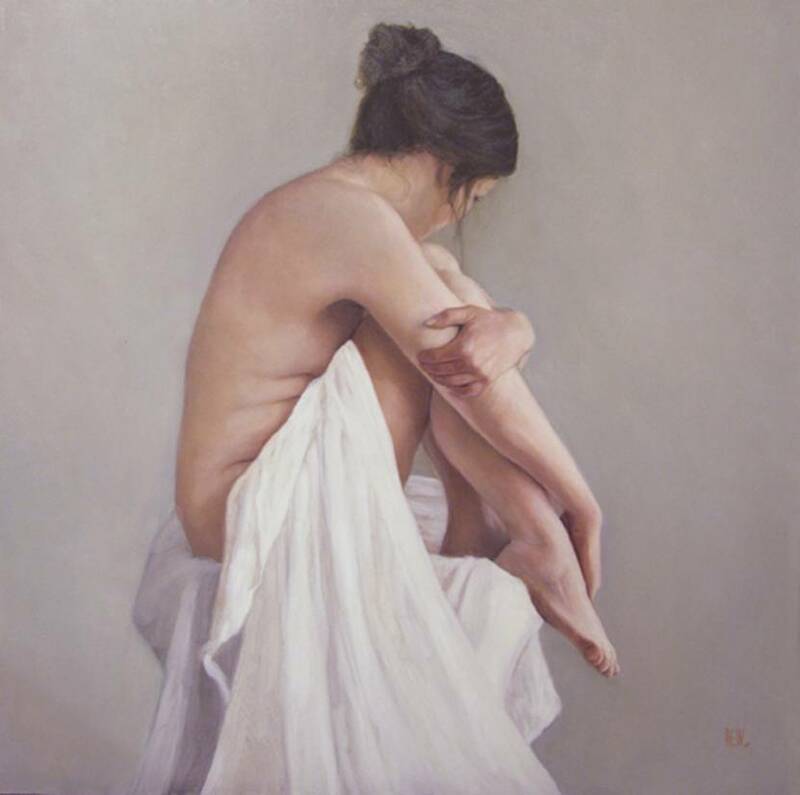 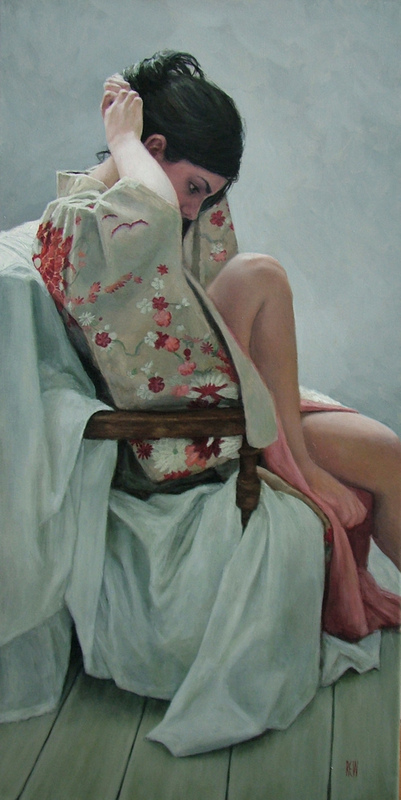 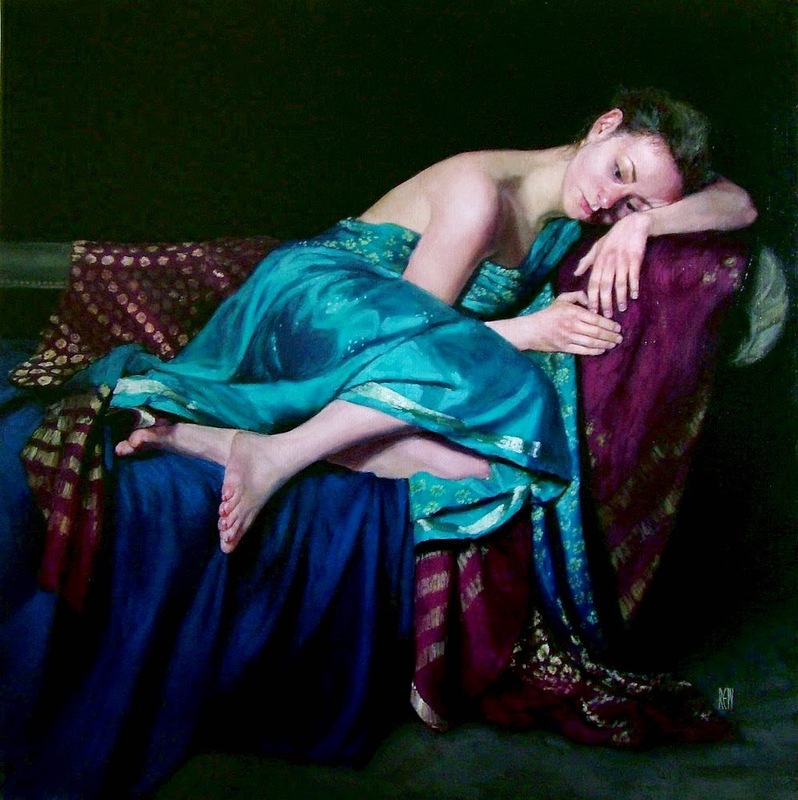 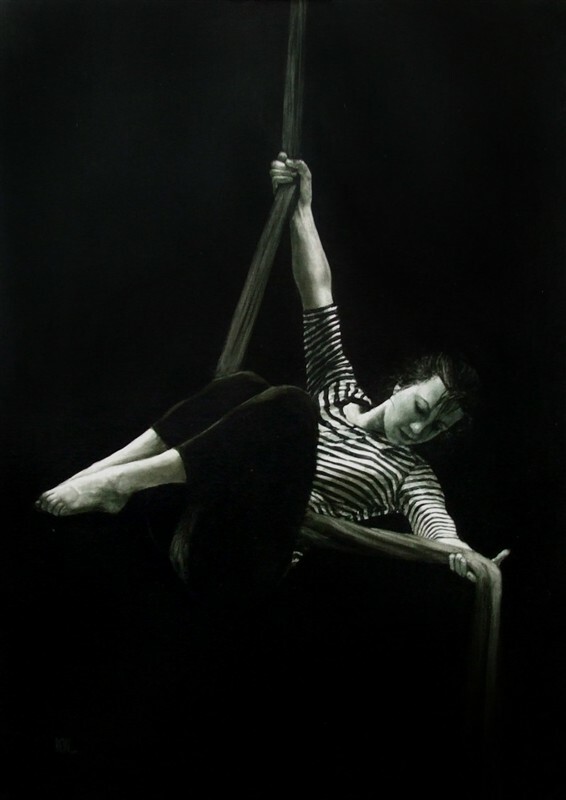 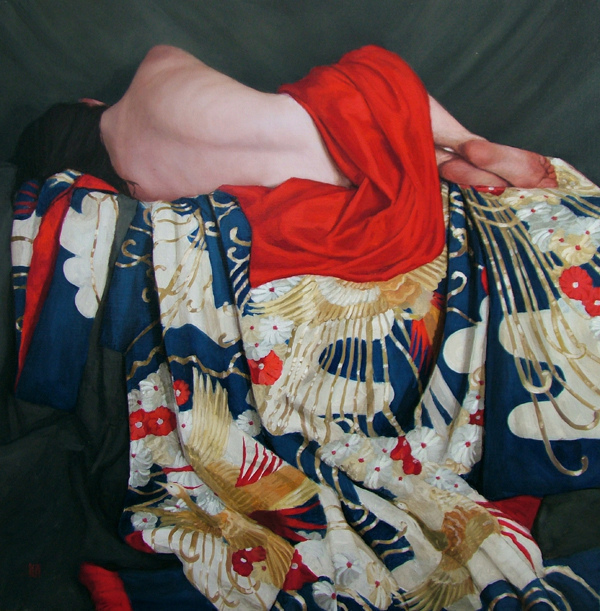 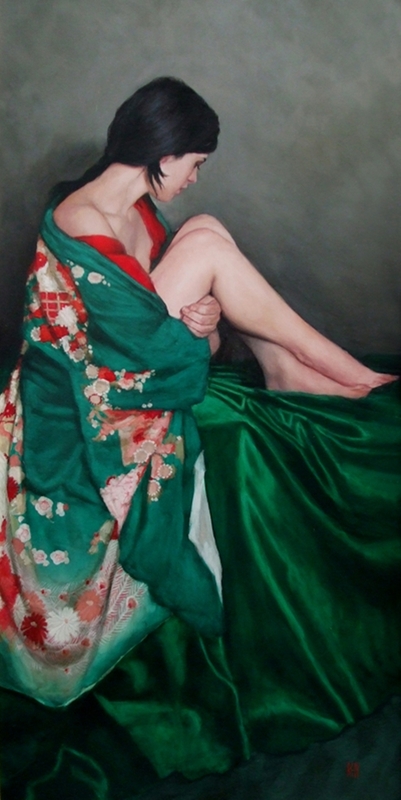 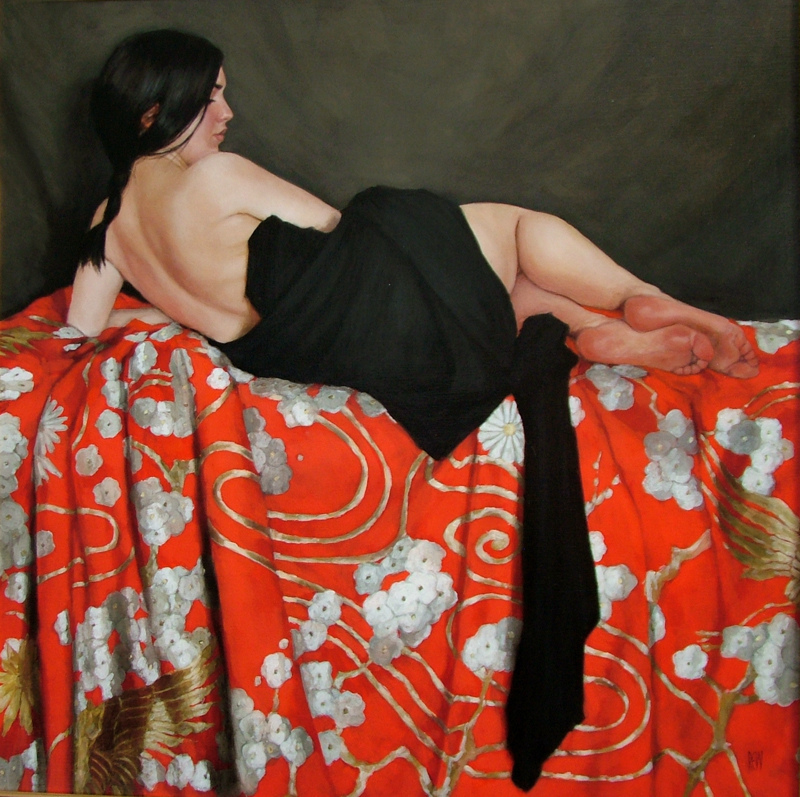 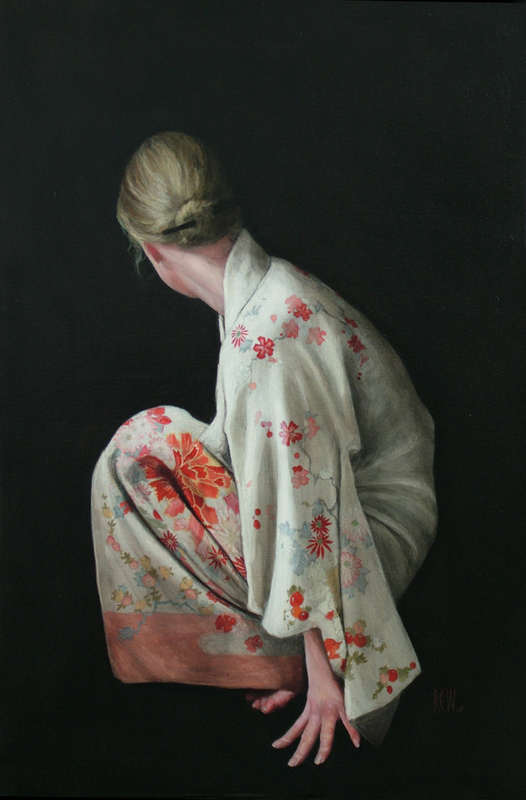 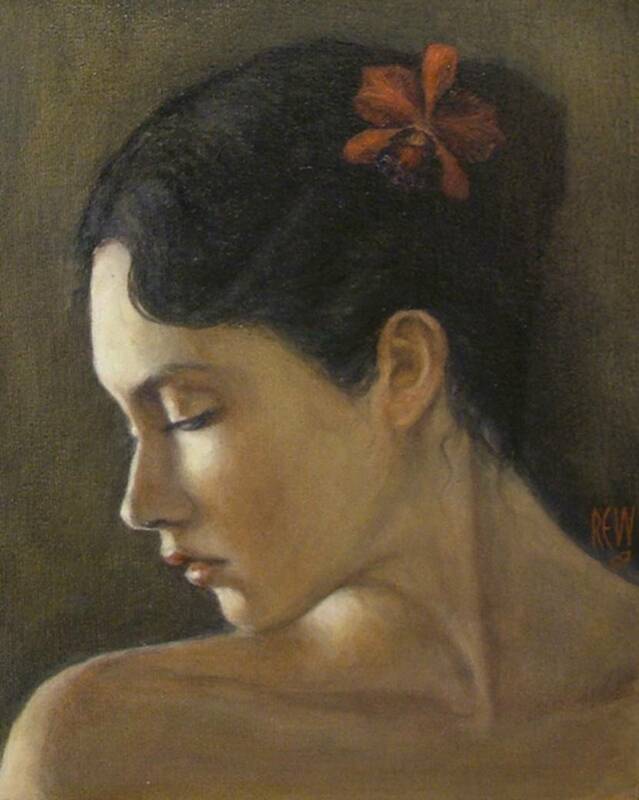 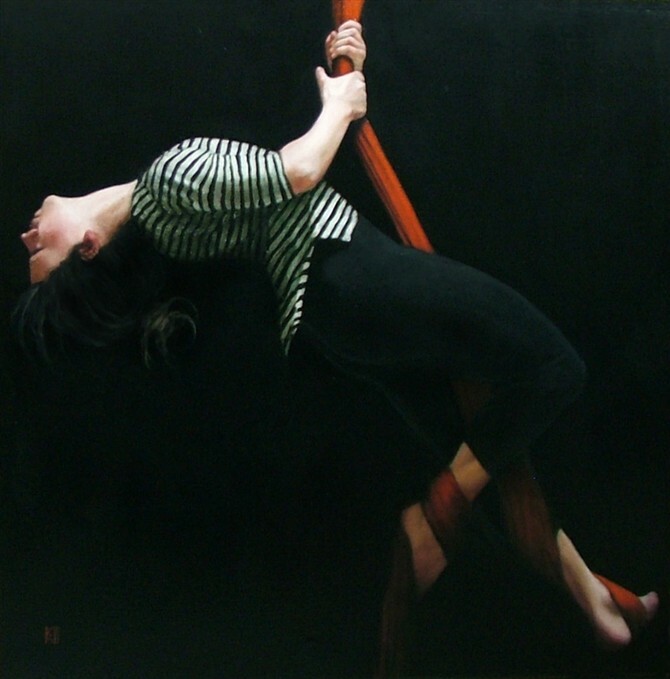 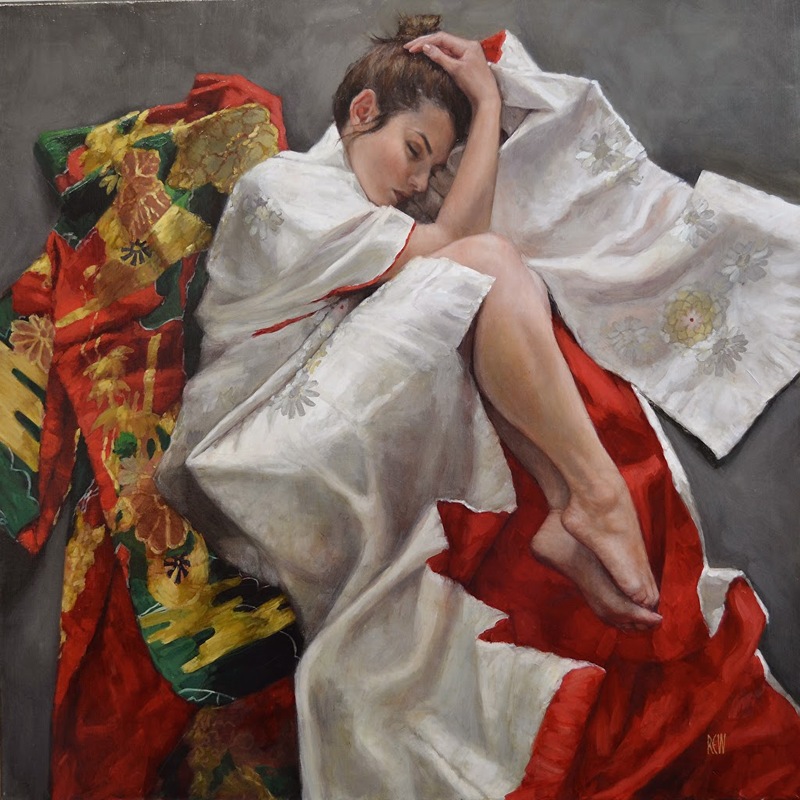 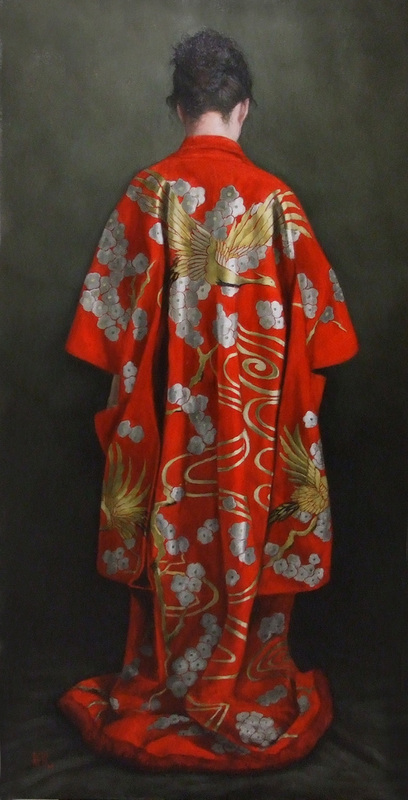 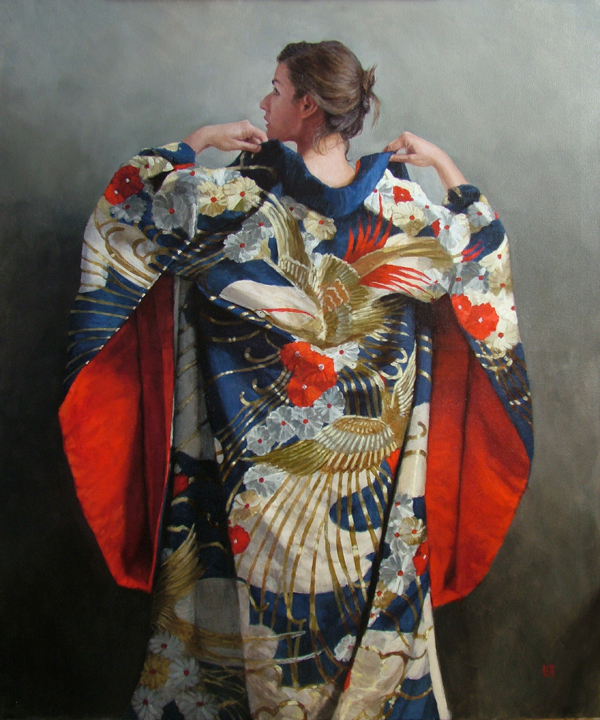 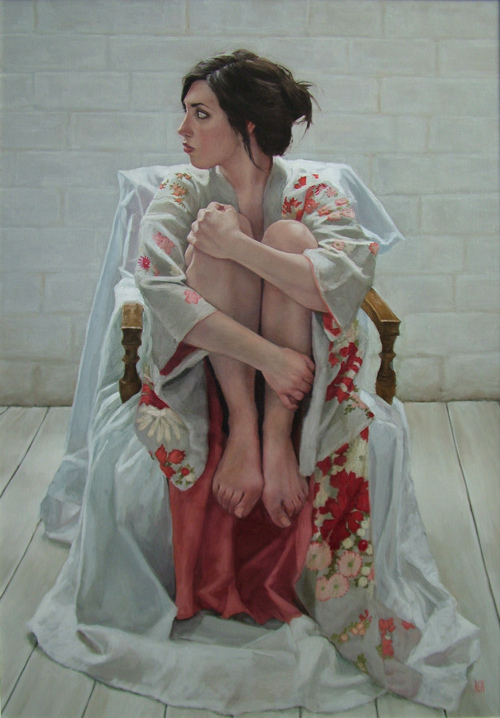 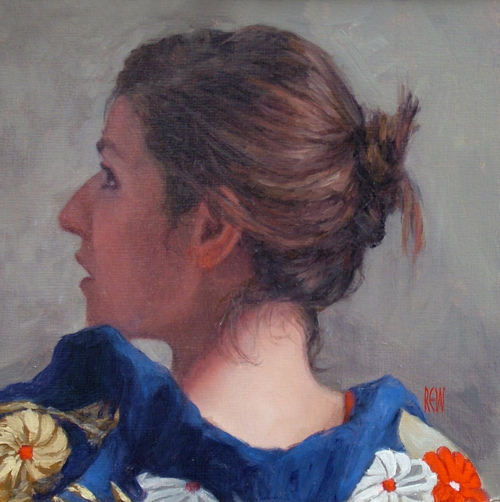 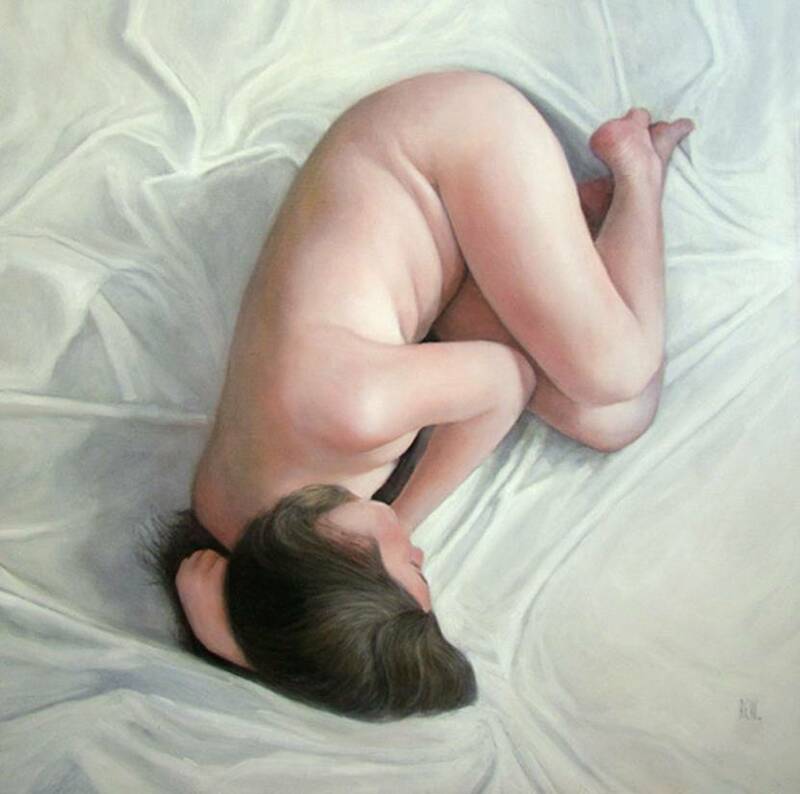 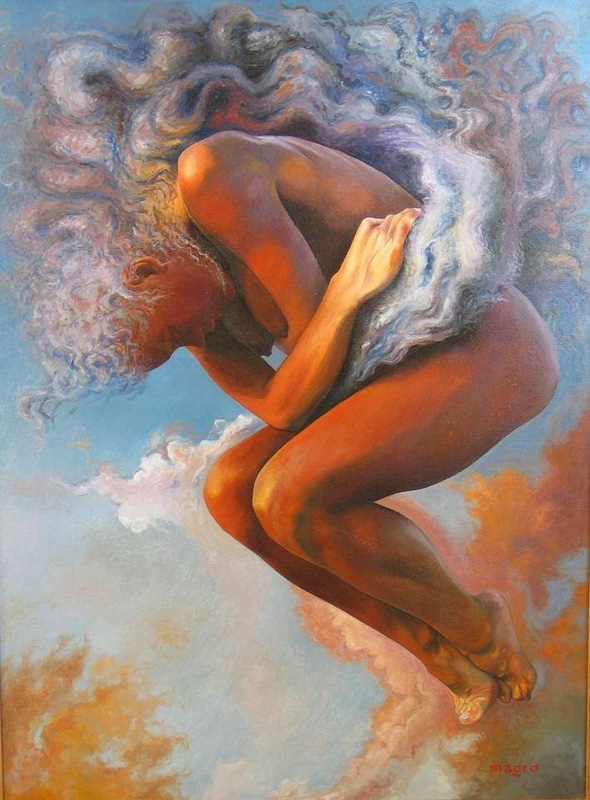 She employs classical styles and techniques concerning pose and composition and often limits her palette in order to enhance a sense of privacy, and draw attention to form. 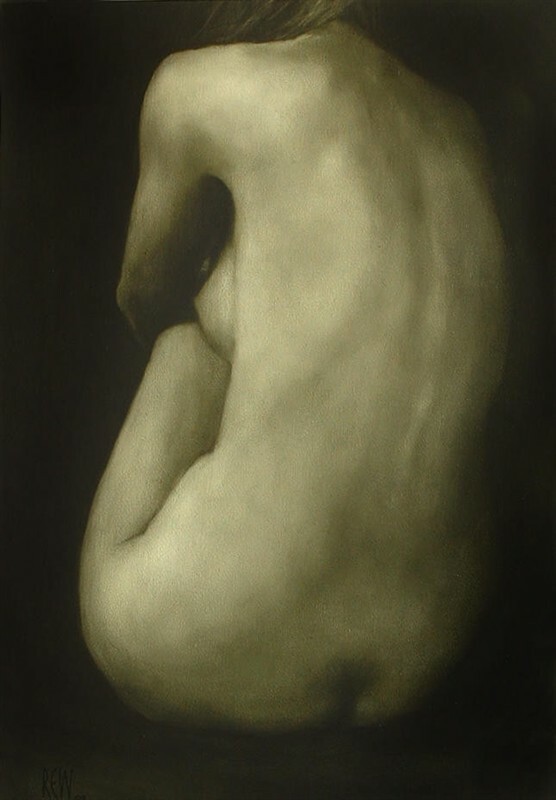 Combining these techniques with simple, fluid, sculptural lines gives a contemporary feel to her work, without unnecessarily detracting from the figure. 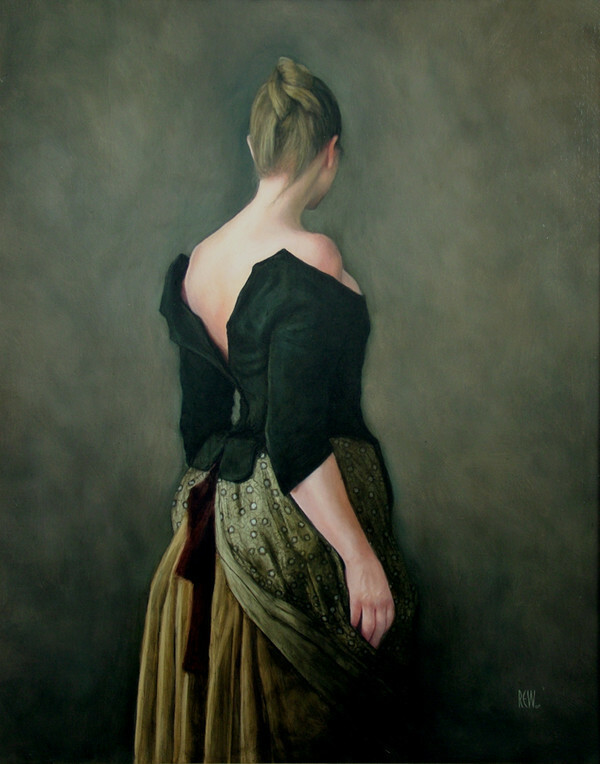 Her paintings may be found in collections throughout the United Kingdom, including the Royal Bank of Scotland, as well as private collections in Australia and the United States.